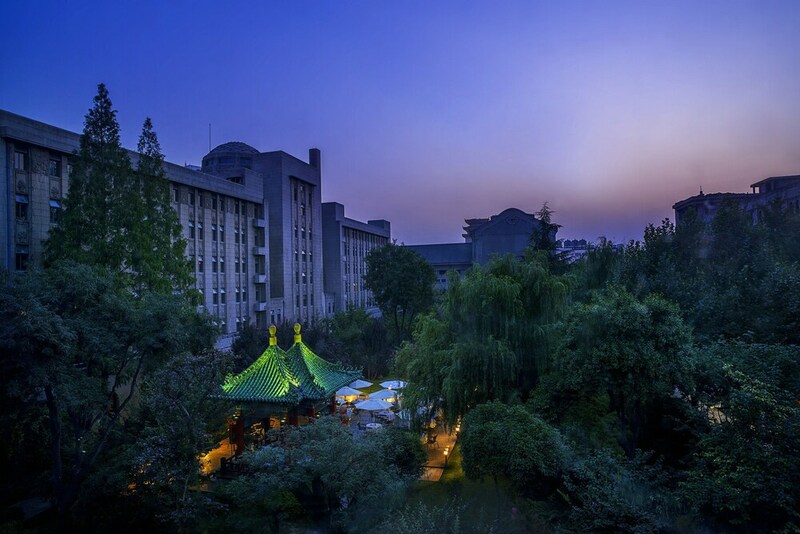 This family-friendly Xi'an hotel is located in the historical district, within 2 mi (3 km) of Xi'an Bell Tower and Xi'an City Walls. Beilin Museum (Stele Forest) and Xi'an Bell Tower and Drum Tower are also within 2 mi (3 km). Beidajie Station is 20 minutes by foot and Zhonglou Station is 23 minutes. This hotel features 4 restaurants, an indoor pool, and 2 bars/lounges. Free WiFi in public areas and free self parking are also provided. Additionally, a fitness center, a coffee shop/café, and a sauna are onsite. All 103 soundproofed rooms provide free WiFi, free wired Internet, and 24-hour room service. For a bit of entertainment, LCD TVs come with satellite channels, and guests will also appreciate thoughtful touches like bathrobes and slippers. In addition to an indoor pool and a children's pool, Mercure on Renmin Square Xian provides a sauna and a fitness center. Dining is available at one of the hotel's 4 restaurants and guests can grab coffee at the coffee shop/café. Guests can unwind with a drink at one of the hotel's 2 bars/lounges. Public areas are equipped with complimentary wired and wireless Internet access. A business center is on site at this 4-star property. Event facilities measure 3595 square feet (334 square meters). This family-friendly hotel also offers spa services, a terrace, and tour/ticket assistance. For a surcharge, a roundtrip airport shuttle (available 24 hours) is offered to guests. Limited complimentary onsite parking is available on a first-come, first-served basis. Mercure on Renmin Square Xian has designated areas for smoking. Mercure Restaurant - This restaurant serves breakfast, lunch, and dinner. An indoor pool and a children's pool are on site. Other recreational amenities include a sauna and a fitness center. This property offers transfers from the airport (surcharges may apply). Guests must contact the property with arrival details before travel, using the contact information on the booking confirmation. A resort fee is included in the total price displayed.